Jack Daniel’s Lynchburg distillery is the world’s oldest registered distillery and a mecca for fans, but too far away for most Australian’s who feel isolated from the brand – especially at Christmas. 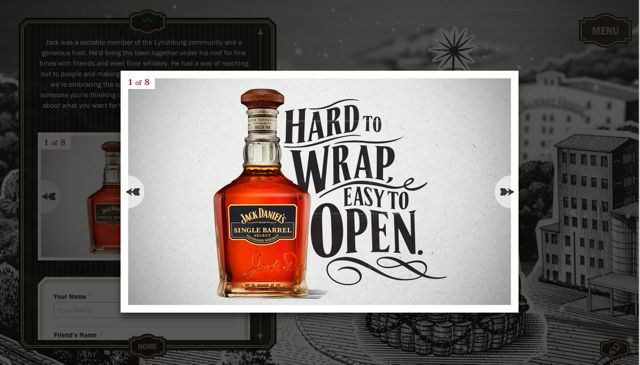 So we built a distillery they could visit with the Jack Daniel’s Christmas Hub, a beautifully rendered 3D paper-craft world that housed a ton of content film about Jack’s unique manufacturing process, old-time stories, e-cards, recipes and even a chance to win one of 5 bottles of limited edition Holiday Select. Awards: New York Festival: Bronze, Awwwards: site of the month, CSS: site of the week, Webaward: Gold - best beverage website.